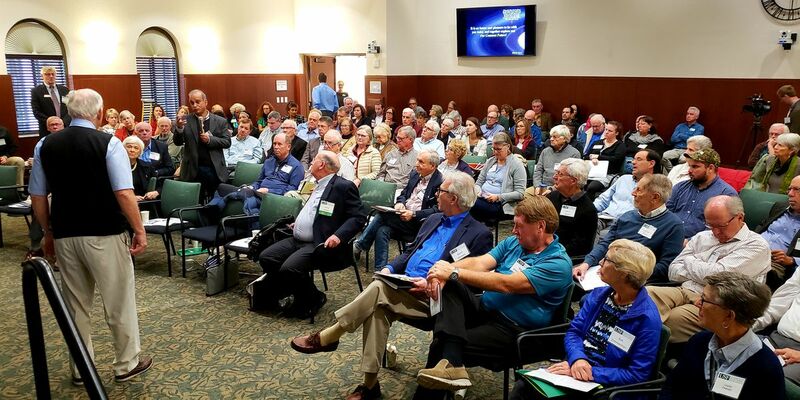 SARASOTA (WWSB) - Hundreds of people concerned about a changing climate are listening to expert speakers all today on the campus of the University of South Florida Sarasota-Manatee. The featured speakers is a stock market trend forecaster from Boulder, Colorado. Bob Bunting says climate change shouldn’t just be viewed as a threat--but also an opportunity for innovation. “Here we are in Sarasota, Florida: I call it Ground Zero for climate change. But the more we understand it and start mitigating and adapting to it, the better we’re going to be in the future," Bob Bunting said, CEO of Waterstone Strategies.